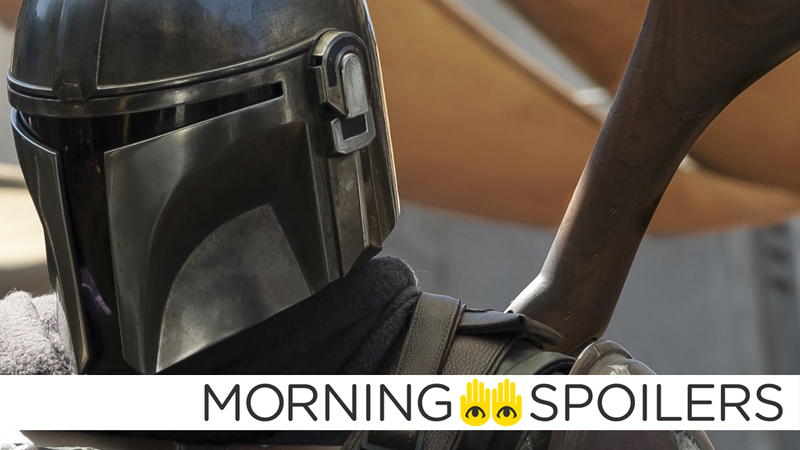 The Mandalorian’s bounty-hunter-packed world could add an intriguing voice. Variety reports Macon Blair (I Don’t Feel At Home in This World Anymore) is now attached to write and direct a remake of Troma’s The Toxic Avenger for Legendary. No new Endgame footage here but the latest TV spot basically serves as an “In Memoriam” reel to the victims of Infinity War. Meanwhile, a recently leaked Funko Pop! 2-pack hints at a potential Hulk vs. Thanos rematch. Or it could mean nothing at all, given how toys for these movies usually work out. In related news, Jeremy Renner posted a photograph of himself alongside his fellow Avengers castmates with the caption, “Dear Thanos, we’re coming for you...Sincerely A6!” Start your time travel/blurry Chris Evans theories now. Dora and Boots find El Dorado on the first poster for the live-action Dora The Explorer movie. Jon Favreau has shared a new behind-the-scenes snap from the series, of director Taika Waititi doing voiceover work for...what appears to be the infamous droid Bounty Hunter, IG-88. Rumors of 88's appearance in the series have floated around for a while now, but whether this is actually 88, or one of the other numbered IG assassin droids remains to be seen. Nice Iron Mandalorian helmet there, though. Maggie infiltrates a cult in new photos from the March 31 episode of Charmed, “Surrender.” Head over to KSiteTV for more. The Iron Throne was a dragon all along on a new poster for season eight released by HBO. While Tandy focuses on her ballet, Tyrone embraces his new career as a vigilante in a clip from the season two premiere of Cloak & Dagger. A new featurette on Amazon’s Hanna series focuses on Esme Creed-Miles’ physical training. Finally, Bruce take on Bane—as Batman? !—in the trailer for “They Did What?” airing in four weeks.